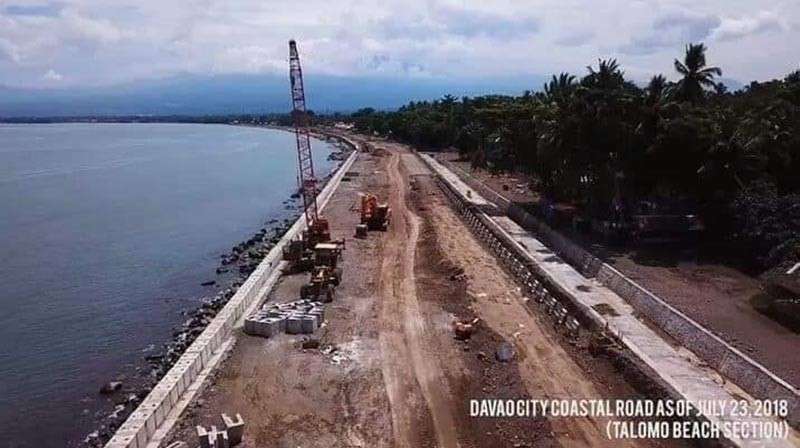 DEPARTMENT of Public Works and Highways (DPWH) Secretary Mark Villar said that they target to open a portion of the Davao Coastal Road project for motorists this year to curb traffic congestion in the southern part of Davao City. “Ang target namin maging partially operational within this year yong Davao City Coastal Bypass. May portion na magagamit,” Villar told the media. DPWH kicked off the construction of Segment A in 2017, which has a length of 1.682 kilometers which has a starting point from Bago Aplaya to Times Beach area. The entire project has P19.8 billion budget and is eyed to be completed by 2022 before the term of President Rodrigo Duterte ends. It has four segments that will run along the shoreline from the Talomo District going towards the Poblacion District. The Segment A starts from the junction of Bago Aplaya to Matina Aplaya; Segment B will be from Times Beach, Matina Aplaya to Roxas Avenue; and Segment C from Roxas Avenue to Sta. Ana Avenue, and segment D towards R. Castillo. The project will complement the two other major infrastructure projects of the government here which is the Davao City Bypass Road and Davao City Expressway. “Ang objective namin is ma-solve ang traffic dito sa Davao City,” Villar said. With this, traffic problem along Matina-Toril area will be addressed considering that there is only one major road system in the area - the Davao-Cotabato road with two arterial routes, the McArthur Highway and the Diversion Road. Apart from that, the Panacan bypass road is already in the pipeline and the construction of the bypass road in Indangan is ongoing which Villar said will be completed by the second quarter of this year.